There are a few books on my TBR pile that slip into the ‘Retro’ category. Not because they are classics but because they fit neatly into what my kids call ‘the olden days.’ I thought it would be fun to include a #RetroReview. I was a huge fan of the Roswell television show that aired between 1999 and 2002 and have recently re-watched all three seasons with my eldest son. What I hadn’t realised back in the 90s was how the TV show was based on a series of books. Excited about this discovery I popped over to Amazon and found not one, but ten books. The Outsider is the first book in the series and introduces us to the main characters and the town of Roswell with its alien conspiracies. I was happy to note that the television show followed the book quite closely. Max Evans saves the life of Liz, a fellow student when she is shot in the stomach. Saving Liz’s life, however, puts him, his sister Isabel, and their friend, Michael in danger, as it exposes their extraterrestrial origin. The eBook was poorly edited and littered with mistakes but I was still able to follow the story due to the fact I’d watched the show. The point of view jumps around a lot, and I had to re-read certain sections to figure out who was speaking or thinking. If I hadn’t watched the show I might have abandoned the book purely down to the technical aspects, however, this would have been a shame as the characters and story line are very good. Sheriff Valenti appears to be a much darker character in the book than he was on the show and I think the development of his personality could be interesting to read. The love/hate/like relationship between Isabel, Michael, Maria and Alex is well developed and I can see how this worked so well on the show. Liz and Max embrace the loved up/should we/shouldn’t we teenage couple from every young adult book, and I enjoyed reading how they bonded over time. The ‘alien’ aspect isn’t overdone and yet there is plenty of scope to develop the sci-fi element over the series. Would I buy the second book? Yes, I probably will as I did enjoy the story. It was a quick and easy novel based on something I know well. 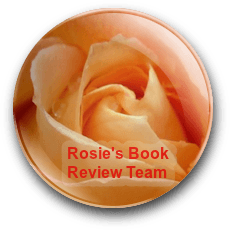 It was the editing that let this down for me and the reason for my 3.5-star rating rather than 4 stars. He’s not like other guys. Liz has seen him around. It’s hard to miss Max — the tall, blond, blue-eyed senior stands out in her high-school crowd. So why is he such a loner? But Max knows he can’t get too close. He can’t let her discover the truth about who he is. Or really, what he is…. Because the truth could kill her. Do you have a favourite TV show from the 90s, or perhaps a book that left a lasting impression? First glance at the book cover “Roswell High” the school title, and I was reminded of Grange Hill, but this takes the school years way beyond that. Shame about the editing. Ah yes, Grange Hill – loved that show! I was surprised about the editing issues too. With such a popular franchise and a BIG name publisher behind the books I would have expected a cleaner end product. Fun post! Brought back memories! I like the way you still encourage people to read it despite the editing glitches. After all, editing doesn’t make or break a story does it? Nice one, Shelley! OMG were so similar! 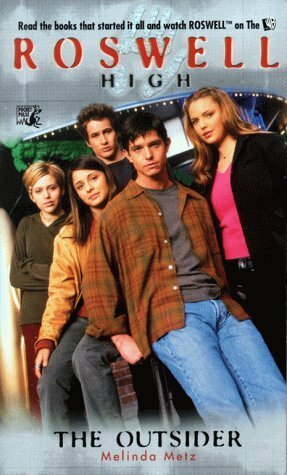 I loved Roswell I’m going to have to re watch it now! 😂 Can’t wait to swap book and Tv series with you at the bash I’ll have to bring a notepad!